Do you remember Jimwat? 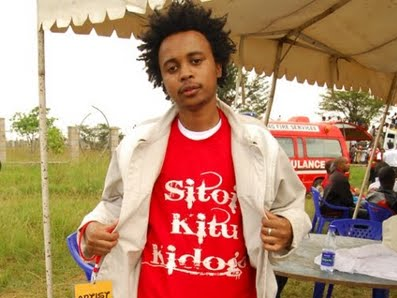 well if you are familiar with old school kenyan music you will definetly recognize him. When the rapper disappeared from the limelight a few years ago, people did not know what he was up to; the genge rapper was fighting another battle one that was not only career threatening but posing danger to his very existence. The singer who is better known for his hit Under 18, Jimwat talked to K24 about his alcohol addiction and how he fought to overcome it. He revealed that his success in music came in with a something else; excessive drinking alcohol, one he could not control. At first there was some disturbing images of Jimwat as he was battling with his addiction to liquor.